The IDGBL Fellowship met again on 14th March 2012 again under the leadership of Coranich and including Agostino, Giacabino and Drinu. Aithun joined late, but caught up with the party in Stormwind Harbour. Once again we travelled far and wide via various transports and magic portals. It seems that a party even made by a paid for character could only invite in 3 other players who were at level 20 or below (free accounts). This remains to be tested when more paid for characters are present to see if they can be added beyond that limit. 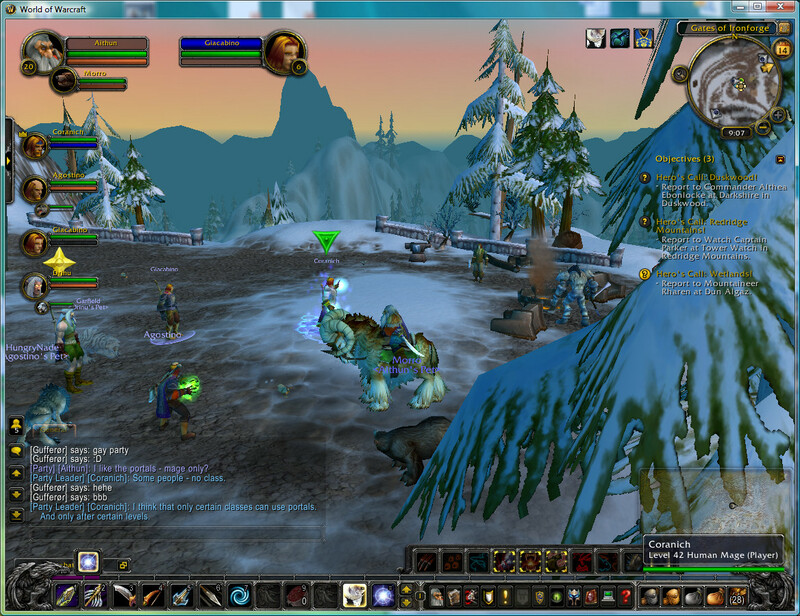 This entry was posted in IDGBL, World of Warcraft and tagged IDGBL, World of Warcraft. Bookmark the permalink.